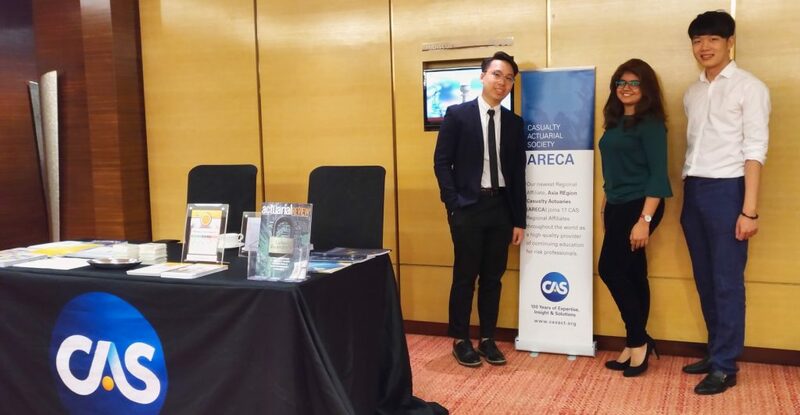 The CAS was a major sponsor in the Actuarial Society of Malaysia’s 7th General Insurance & Takaful Actuarial Seminar in Kuala Lumpur. Held July 24-25, 2017, the event focused on predictive analytics and emerging risks. Ming-Yi Wong, ACAS, manager from Ernst & Young, presented on robotics; and Wee Keat (Kenny) Tan, FCAS, chief actuary of AmGeneral Insurance Berhad, discussed international actuarial insurance operations. Attendees also visited the CAS booth for information on the local CAS Regional Affiliate, Asia Region Casualty Actuaries (ARECA), and The CAS Institute’s Certified Specialist in Predictive Analytics (CSPA) credential. 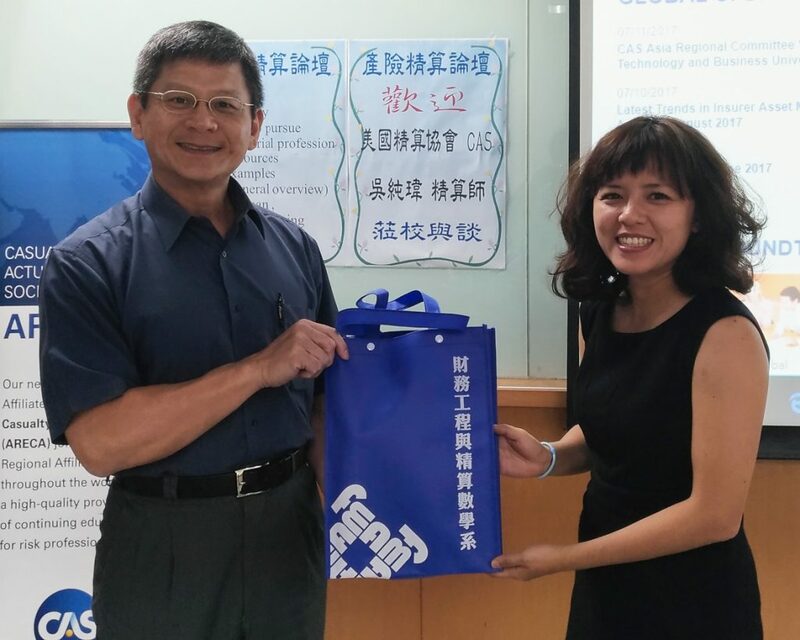 In July 2017, Chuan-Wei (Susan) Wu, FCAS, and CAS International Relations Manager Michael Chou met with faculty and students at two Taiwanese universities with well-regarded actuarial departments. Their mission was to further the CAS’s efforts to promote the profession internationally and to educate students about developing their careers as P&C actuaries. Wu returned to her homeland to visit Taipei’s Soochow University, where she met with and presented to professors from the financial engineering and actuarial mathematics department and university students. Currently based in the U.S., Wu spoke about different areas of actuarial work, the CAS basic education system and the Society’s role in the property-casualty market. She shared her experiences working in the U.S. and Japanese insurance markets, outlining differences in the two country’s jurisdictions and regulations as well touching on global trends affecting the profession. Chou’s audience at Taichung’s Feng Chia University included students from emerging markets in Vietnam and Cambodia as well as professors from the financial engineering and actuarial degree program. Chou talked about the CAS exams and general insurance opportunities, and he told of ways to get involved with the CAS and activities in the region. Wu and Chou’s visits generated much interest among the students and faculty. For more on the CAS’s international efforts, please contact CAS International Relations Manager Michael Chou at mchou@casact.org. 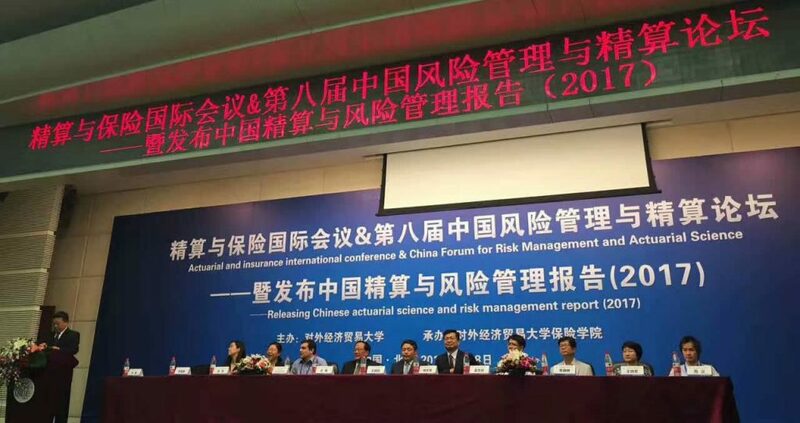 The CAS participated in the 8th China Forum for Risk Management and Actuarial Science in Beijing last July. The forum was also an opportunity to showcase the benefits of CAS Academic Central and CAS Student Central. Organized by the University of International Business and Economics (UIBE) and the Insurance Society of China, the event welcomed hundreds of students, academics, and industry practitioners from actuarial science, finance and insurance, and risk management. 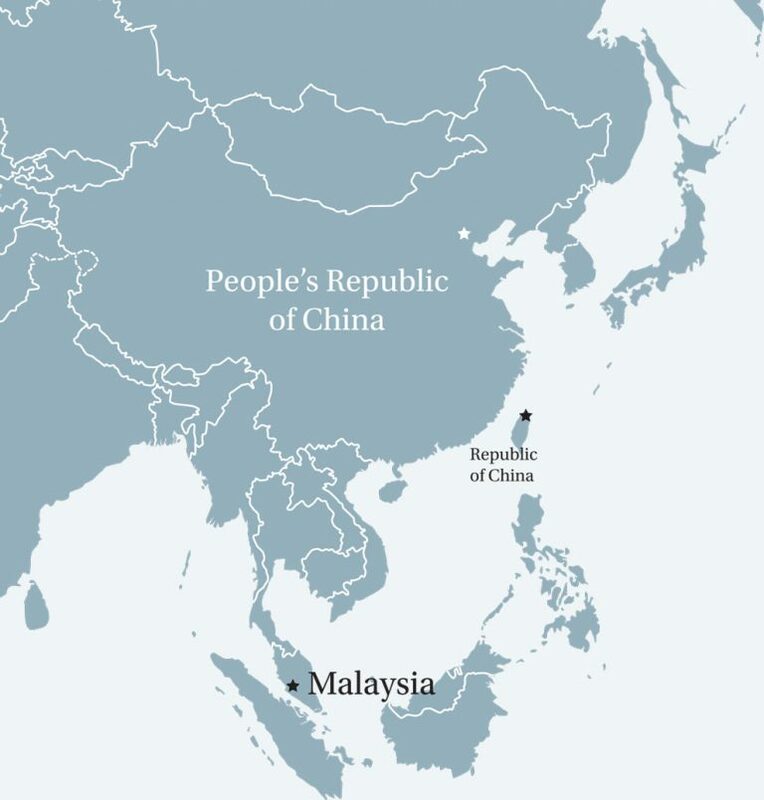 X. Sherwin Li, FCAS, appointed actuary, China Re P&C and chair of the Asia Regional Committee, discussed some of the latest development in the P&C industry. Eric Huang, FCAS, deputy general manager and chief actuary, Long Insurance Company of China, presented some of the opportunities and challenges for actuaries in the artificial intelligence era. CAS staffer Michael Chou was on hand giving a general overview of the CAS and some of its current initiatives. 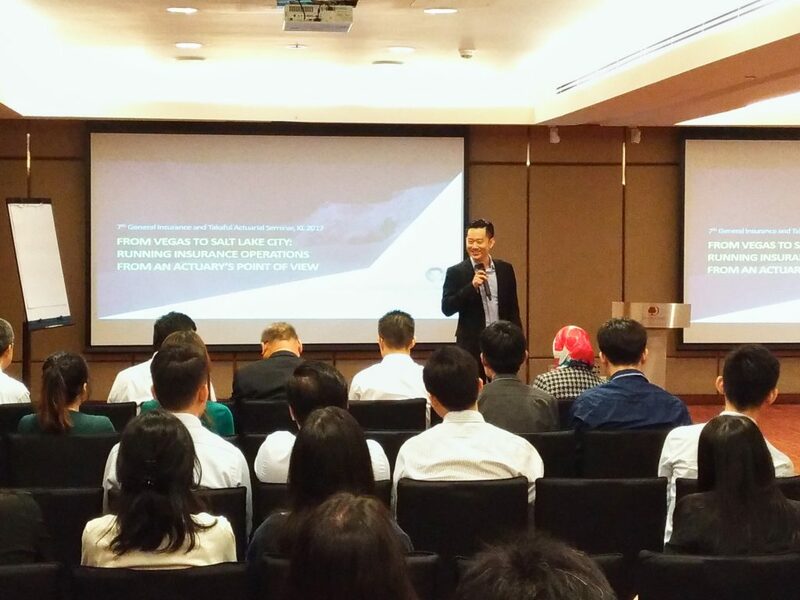 Kenny Tan shares his experience running insurance operations. Actuarial students at the CAS information booth. Susan Wu speaks with Soochow University students in Taipei on July 14. Susan Wu (right) with Professor Chung-Gee Lin at Soochow University in Taipei. The audience of the morning general session at the 8th China Forum for Risk Management and Actuarial Science. A forum panel at the 8th China Forum in Beijing. 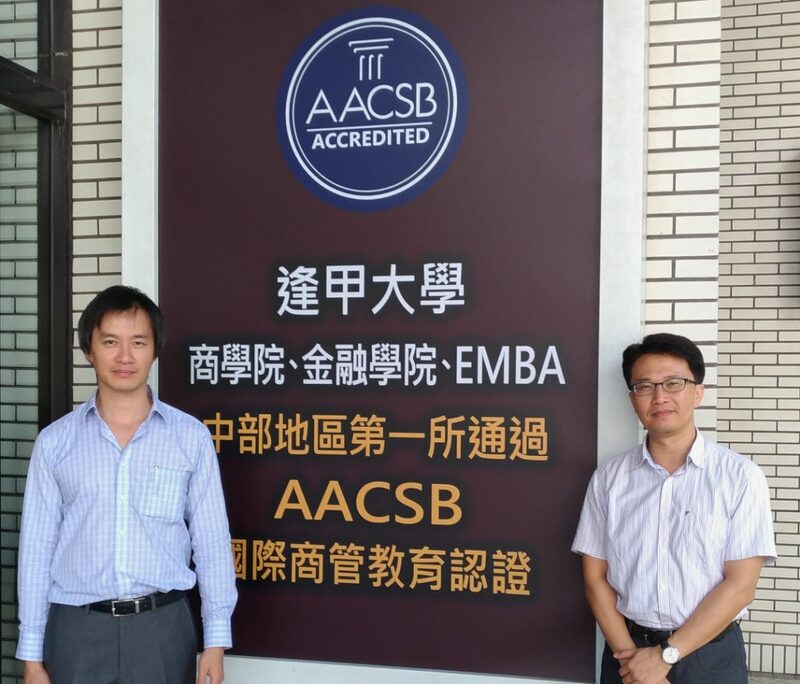 Michael Chou (left) with Professor Chi-Kai Chang at Feng Chia University in Taiching, Republic of China.